Skills & Abilities: Wale has always been a genius with computers and technology ever since birth, his supreme understanding of technology, computers and their hardware always gives him an advantage in situations surrounding them. He however lacks the engineering skills necessary to build and modify his armor. While not a genius level inventor/scientist like his father he is a capable engineer and a gifted problem solver. He is also possess street smarts and a very high IQ which makes him a master tactician. Powers: In the E.X.O. suit, Wale has Super Strength, Agility and Endurance and Flight, plus the ability to generate and manipulate Force/Gravitational Fields. Without the suit, Wale is a martial arts specialist, holding an 7th degree Karate black belt. His senses are also heightened due to “unknown” experimentation in regards to the E.X.O. suit. Biography: Reckless and impatient; these are some of the words that describe this “Hero in the making”. Wale’s genius makes him slightly arrogant and audacious, which more than often leads him into dangerous situations. However, throughout his journey, his bravery, selflessness and strength will show why his true calling is to be Lagoon City’s hero. Wale was born and raised in Lagoon City, Nigeria, but due to an incident, Wale leaves Lagoon City never to return. However, 5 years later Wale is tricked into returning home to Lagoon City to investigate his father’s mysterious disappearance. His only clue is a cryptic Nanosuit left behind for him by his father, a suit which grants superhuman abilities. 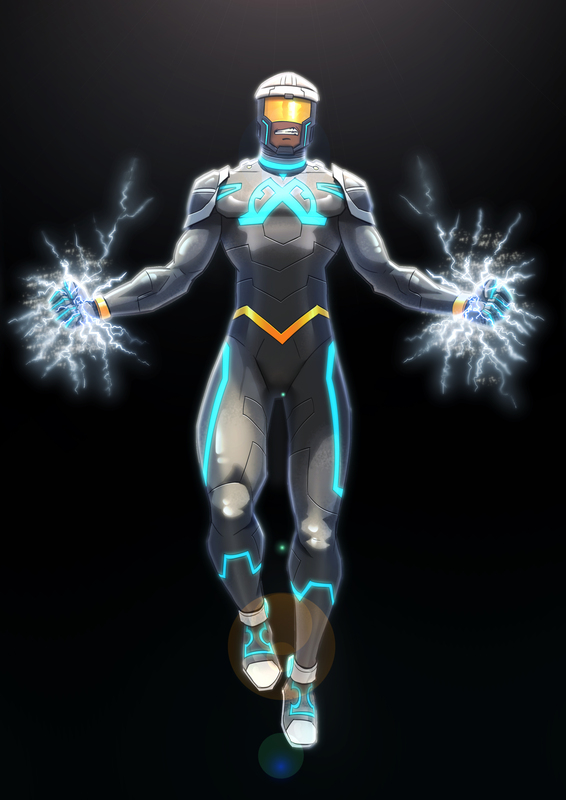 As he comes to understand the suit’s powers, Wale realizes he must restore hope to the city by preventing catastrophic attacks from the sociopathic extremist, Oniku.